In this cold, cold weather we’re having (unusual in our local area) it can reak havoc on our hair and skin. Time to double up on good conditioner. An in the shower rinse out and a spray leave in condtioner will do wonders for the feel of your hair. My newest discovery is the Nourish by Pravana and my old time favorite the double conditioning leave in spray KMS Moist Repair. Both can be purchased at my salon. * Leaves hair hydrated, detangled and conditioned with soft, smooth, healthy glossy texture. 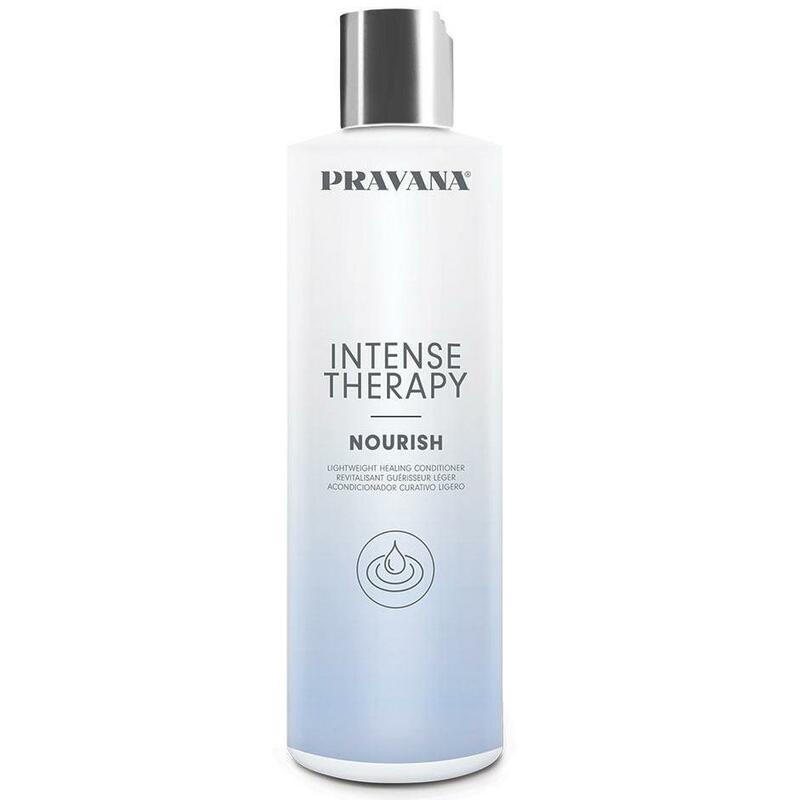 PRAVANA Nourish Is a healing conditioner which provides intense healing with lightweight nourishment for damaged hair. Supplying needed hydration to most hair types. This formula is proven to reduce breakage by up to 98 percent. Recently I attended a hair trade show, as I often do, making education a top priority several times a year. This particular show was in Long Beach, CA. This is the third year of attending this show. This year I was more impressed than past shows. They had more education to offer and way more professional brands. Its interesting to see what the upcoming hair trends will be. A lot more vivid color and “The Shag” hair cut in assorted versions is coming back. (that excites me). A shag haircut is so versatile, creating long or short flowing layers with a lot of texture and a lot of body at the crown (again excited about this). It was interesting to me, seeing all the new haircutting trends, so when I got home from my work trip I started to do some research on the shag dating back to the 70s. Of those who have worn different forms of shag hair cuts are Jennifer Anniston, Courtney Cox, Kaley Cuoco. Farrah Faucett, Kate Jackson, Meg Ryan and Jane Fonda, just to name a few. All have had variations through out the years. The cuts we were seeing were more on the dramatic side (always the hair shows go for extreme effects) I cant wait to implement the new, less dramatic rendition of what I learned at the show. I love doing razor cuts and have been following and learning them for many years. I definitely feel I am well versed in these spectacular upcoming hair cuts. I cant wait to introduce the new, less dramatic, versions of what I learned at the hair show. I love doing razor cuts and have been following and learning them for many, many years. I definitely feel I am versed in these cuts.